SUP Adventures is an accredited SUP school and operates at a host of beautiful venues all over the North Yorks Moors National Park at Sandsend, Saltburn, Scaling Dam and the River Tees (Yarm) & Esk (Whitby). The Parks boasts stunning rivers and wildlife the year round. Our experienced instructors have good local knowledge and know where it is best to go and to work with the conditions. Veteran surfer, snowboard and SUP instructor. Simon climbed Mount Elbrus in 2015. He has written a book about surfing called, ‘ Don’t Jump off the Pier’. 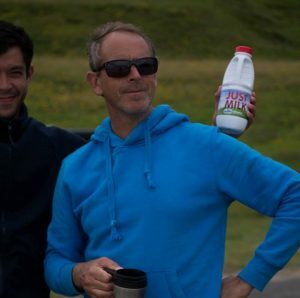 He just loves adventure having claimed Mount Elbrus, trekked in a remote part of Patagonia, cycled in Jordan and Vietnam, surfed several oceans and pioneered a number of waterways with the irrepressible John Wilson (www.districtpaddleboarding.co.uk) on his SUP board. Our very own Bear Grylls. 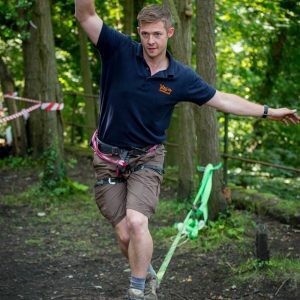 Dan is fresh from the RAF where he actively served as a Physical Training Instructor and an Adventure Training Instructor. Dan heads up our Leadership & Management division which uses Military models of leadership, best theory principles and is activity based. He climbs high, rides far, runs for miles & miles and is almost bionic. He very successfully completed an Ironman in 2015. He continues to lead expeditions on behalf the RAF. A licence indicates that the provider has been inspected by the Adventure Activities Licensing Service on behalf of the Adventure Activities Licensing Authority, with particular attention being paid to their safety management systems with young people, and has been able to demonstrate compliance with nationally accepted standards of good practice in the delivery of adventure activities to young people, with due regard to the benefits and risks of the activity. ASI (Academy of Surfing Instructors), is the worldwide peak body for Instructors and Coaches in the outdoor recreation and sport industry for surfing, stand up paddle and bodyboarding. ASI Accredited stand up paddle schools are the best stand up paddle schools in the world. are authorised to deliver ASI stand up paddle courses. Have lessons at ASI accredited stand up paddle schools, and you know you are in good hands.